Under a seldom used 1940 US law, an American citizen found guilty of serving in the German or Japanese armies during armed hostilities, would lose their citizenship. This week, seventy years later, Senator Joe Lieberman (I-CT) and Senator Scott Brown (R-MA) have introduced an amendment to the 1940 law which would give the US the power to strip citizenship from an American citizen who “affiliates with a Foreign Terrorist Organization”. With the Cold War a thing of the past, and with no foreign armies threatening the US, Lieberman and Brown have come up with a new enemy: “Islamic terrorism,” a term so amorphous that identifying an “enemy” would usher us into Red Queen territory where “a word means what I say it means, no more, no less”. What would “affiliation” mean under the Lieberman-Brown amendment? And exactly what would constitute a “foreign terrorist organization”? The answers would have to come from the Secretary of State. In a press release explaining his amendment, which he labeled the Terrorist Expatriation Act (TEA), Lieberman evoked the dark days of World War II, always a handy weapon when instilling fear in the populace. The US has already designated Al-Qaeda and the Taliban as “terrorist organizations.” Hard to disagree with that since both groups have attacked American interests and citizens. They ushered themselves into “enemy” territory. Our designation of Hamas and Hezbollah as “terrorist organizations” is, however, of a different order. Neither of these groups has attacked the US or threatened to do so. They function, rather as political parties and militant armies fighting to resist Israeli hegemony. If the Lieberman-Brown amendment were to become law, Secretary of State Hillary Clinton,would become our Red Queen, stripping American citizenship from any individual suspected of an “affiliation” with any group she designates as a “terrorist organization”. What does Secretary Clinton think of what constitutional scholars would see as a threat to the constitutionally-protected rights of American citizens? Noting that the State Department already had the authority to rescind the citizenship of people who declare allegiance to a foreign state, [Secretary Clinton] said the administration would take “a hard look” at extending those powers to cover terrorism suspects. It is important to parse the Secretary’s language here. The US already has the authority to strip citizenship from any American citizen who declares allegiance to a foreign state at war with the US. Now Secretary Clinton says she wants to take a “hard look” at expanding her authority to include American citizens merely “suspected” of terrorist affiliation. Even Republican leader Rep. John A. Boehner (Ohio) questioned the constitutionality of the Lieberman-Brown proposal at which Clinton wants to take a “hard look”. Under the provisions of the original 1940 bill, the State Department would still need to cite evidence that a person not only joined a group like Al Qaeda, but also intended to relinquish his or her citizenship. In Israel, a right wing government to which Senator Lieberman appears to be emotionally linked, has “secretly” arrested Ameer Makhoul, a Palestinian Israeli citizen and a long time human rights advocate who directs Ittijah, a human rights Israeli-based organization. The Israeli gag order has prevented mainstream Israeli media from reporting on Makhoul’s secret incarceration. Two outlets provide broad hints, including this story inHa’aretz Monday which announces a mass public protest rally but omits any reference to the cause of the rally. Members of Arab advocacy groups, including Adalah, Mossawa and I’lam Media Center, are angry that they can’t provide details about the circumstances or the reasons for the protest, even though some information has been reported by journalists and bloggers in the United States and Europe, as well as by the Arab press in countries including Israel. A second Israeli-based website, Ynet, avoids using Makoul’s name or his middle of the night arrest, but makes the context of his arrest quite clear. Which raises an important question: How long can a democratic government continue to play games with gag orders until the public becomes restless? Makhoul, who spoke recently to a Sabeel Conference, was arrested in his home in the middle of the night in Haifa, Israel. He is currently being held in a secret location. Israel’s democratic government imprisons its own citizens for reasons it does not reveal. Two United States Senators want this country to classify “suspects” as unworthy of the basic rights of citizenship. Want to look into the future and see what the Lieberman-Brown brand of justice could produce on American soil? 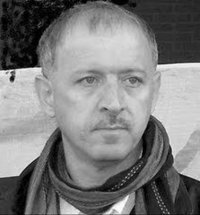 Palestinian Professor Mazin Qumsiyeh writes an on line Human Rights Newsletter which reports on both human rights violations and popular resistance in Palestine/Israel. A poll reveals that a majority of Israelis are willing to see the banning of human rights organization in the ‘Jewish state’ and a bill was introduced in the Knesset to outlaw any Israeli human rights organization which exposes Israeli war crimes. Yesterday, one peaceful protester was hurt and 6 detained in Bilin weekly protest against the apartheid wall (itself declared a war crime in violation of the 4th Geneva convention). Those arrested include our friends Ashraf Abu Rahma, 28, who was videotaped at another event as he was blindfolded and shot and was, brother of martyr Bassem killed at peaceful protest, Abed Al-Fattah Burnat (Committee member, 53), Haitham Al-Khatib (34, Photographer), Roy Vackner, and Uri Baytman (Israelis), and a 27 year old US citizen, Stormy. In a separate event, Israeli secret agents arrested a Palestinian leader in Haifa (head of Ittijah organization), Ameer Makhoul, on secret evidence and puts a gag order on the media. Back home in the US there continues to be a strong sentiment that would find Lieberman-Brown to be a handy tool. They would even be prepared to offer guidelines for identifying groups and individuals who fail to pass the Israel loyalty taste test. In one recent development, the San Francisco Jewish Community Endowment Fund has just deleted from its approved donor lists, some US organizations which failed the test. Since the designated deleted NGOs have been busy at their tasks for quite some time, the JCEF must have decided to take a second look at grant recipients. Of course, it is common practice for individuals or groups to place money in community endowment organizations and entrust them to manage the fund and then make grants to worthy recipients. And those organizations have every right to determine which groups are acceptable. If you want your money managed by JCEF, you are free to ask them to make a donation on your behalf to a certain organization. They won’t do it unless the organization is on the approved list. Cecilie Surasky reports for Mondoweiss.net that recently the “JCEF quietly pulled a number of nonprofit organizations from their acceptable charities list in an apparent attempt to ensure ideological purity” for the San Francisco Jewish community. Three: advocate for, or endorse, undermining the legitimacy of Israel as a secure independent, democratic Jewish state, including through participation in the Boycott, Divestment and Sanctions (BDS) movement, in whole or in part. With the aid of what she calls “a bit of technical sleuthing (and a tip-off from a donor)”, Cecilie Surasky identified six NGOs now banished from the Federation’s approved list. The “dirty six” are: Jewish Voice for Peace, American Friends Service Committee, the Institute for Policy Studies, Madre, Global Exchange, and the National Lawyers Guild. Not hard to see what led to this purge. All of these groups fail to meet the JCEF Israel loyalty taste test, including support for BDS. Making support for Boycott, Divestment and Sanctions (BDS) a sign of “disloyalty” to Israel lays down a political marker that is so blatant that it has drawn strong protests from more moderate San Francisco Jewish leaders. BDS a danger to Israel’s security? A voluntary public protest against Israel’s internationally designated Occupation a danger to the world’s fourth most powerful (nuclear armed) military nation? Welcome to a world in which the US is so linked to Israel that the two nations feel the same pain and share the same prejudices. Reminds me of Steven Spielberg’s E.T. the Extra-Terrestial in which E.T. is so closely linked to 10-year-old Elliott that when E.T. drinks a six pack and promptly gets drunk, Elliot gets drunk along with him, even though E.T. is at home and Elliott is at school. The US Senate is in danger of letting Senators Lieberman and Brown get them drunk on the same anti-human rights deadly brew consumed in Israel. In Israel NGOs that support human rights are arrested, beaten and put under a media gag rule. One Israeli blogger, Yossi Gurvitz, speculates on what provoked Shin Bet into arresting Makhoul. This past Wednesday, Makhoul announced his support for a campaign to boycott Israeli products produced in Israel’s West Bank settlements. Gurvitz writes that former IDF spokesperson and current Knesset member Nachman Shai claims that support for boycotts by Israeli Palestinians raises doubts about their loyalty to the State. If true, what this means is that the Israeli secret police have decided that even legal means of democratic protest should be criminalized. 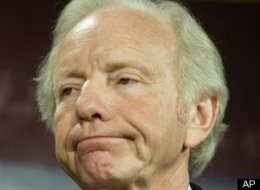 Joe Lieberman wants to criminalize “suspected” disloyal behavior of US citizens. Hillary Clinton is taking a hard look at Lieberman’s bill. The San Francisco Jewish Community Endowment Fund has decided that supporters of BDS are disloyal to the state of Israel. Within a few weeks, United Methodist and Presbyterian delegates will be asked to stand up in opposition to Israeli Occupation. Will they continue to drink the brew that leads them away from support for human rights? Or will they sober up in time to break the chains of the interfaith charade and stand up for both Palestinians and Israelis and against Israel’s Occupation? The picture of Senator Joe Lieberman is from the Associated Press; the picture of Ameer Makhoul is from Facebook. In 2005, Jeff Halper, American Israeli and co-founder of ICAHD, informed me that Israel’s statehood was contingent upon upholding the UN Universal Declaration of Human Rights. The last time I saw Jeff Halper, in October 2009, he told me that although he had many appointments with members of Congress, he had been warned not to even raise the issue of Human Rights with them! Jeff also said:”We have no political partners in government and civil society is in a bad marriage with government. Remember that governments are not our partners, friends or on our side, were alone and we have to build a civil society to make the occupation unsustainable. “It is on the moral level and in regards to economic interests that we will win the War of Legitimacy. The clash of civilizations is between human rights and imperialism. But certainly Clinton’s decree that we’re citizens merely by “privilege” is an outrageous, tyrannical statement. Thanks for your great articles. Alas, I am busy with my census job, then away for three months, so this means I cannot reply every time. Rest assured I will read as much as I can. Hopefully our policy-makers will read your articles too. pp.